Antigua #2538 pictures the fighting across the river. On December 13, 1862, Union forces launched a bloody attack during the Battle of Fredericksburg. In the fall of 1862, newly promoted Major General Ambrose Burnside developed a plan to take Fredericksburg as part of a larger campaign to capture Richmond. Setting out on November 15, 1862, they were immediately stalled by rain and muddy roads. But through sheer determination, they reached the north banks of the Rappahannock River on November 17. Just the river stood between Burnside and Fredericksburg. He had issued orders to have pontoon bridges built across the river before his arrival, but they hadn’t even been started by the time he arrived. As a result, he lost the element of surprise he had counted on. U.S. #788 pictures Robert E. Lee and Stonewall Jackson. Meanwhile, Robert E. Lee moved to set up a defensive position 25 miles south of Fredericksburg – midway between the Union Army and the Confederate capital. But when he learned Burnside was stalled at the Rappahannock River, he sent Lt. General James Longstreet and 40,000 men to take up a position north of Fredericksburg. When they arrived, they took a position behind Marye’s Heights, a ridge that provided them with a solid defensive advantage. 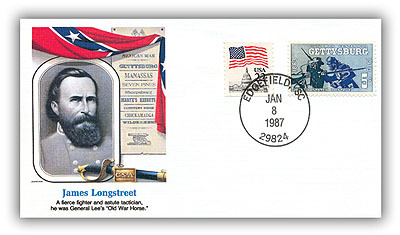 Item #20101 – James Longstreet Commemorative Cover. It took the engineers and Burnside some time to figure out where to build their bridges, but they ultimately selected three points. In the early hours of December 11, the 50th New York Engineers took pontoon trains to the river. They faced freezing temperatures, a layer of ice on the waterway, and thick fog as they raced to finish the bridge. Yet as they struggled to see in the darkness, Confederate Brigadier General William Barksdale was watching their progress. Once they reached the halfway point, he mobilized his troops. Some 1,600 troops took up positions in buildings along the riverbank. Union troops spotted them through the fog just before the first shots rained down on them. Throughout the morning, the engineers crept out to work on the bridge only to retreat when they fell under fire. To end the stalemate, Burnside decided to bombard Fredericksburg – the first time in history the U.S. Army had bombarded an American city. Over 8,000 rounds were fired from 183 artillery pieces. But most of Barksdale’s men stayed in position and returned fire when the Union artillery slacked. Frustrated, Burnside approved a plan: put the infantry in the pontoon boats and ferry the soldiers across the river where they could secure the bridgehead by force. Six boats bearing 20-25 men each set out on the 400-yard crossing. Under orders to bayonet every armed man they encountered, Union soldiers scaled the hill. While the Confederates fought them, the engineers finished the bridge. Federal troops poured into Fredericksburg. Fighting ensued in the streets, where Union troops made easy targets from hills and rooftops until their sheer number overwhelmed the rebels. 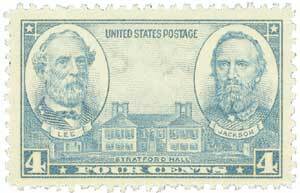 U.S. #2538-39 includes stamps honoring some of the men present at Fredericksburg as well as a stamp honoring the battle itself. Burnside gave his men a day to rest before crossing the open field known as Slaughter Pen, south of Fredericksburg on December 13. Nearby was Marye’s Heights, an open, uphill slope lined with cannons. Burnside’s delays had allowed Stonewall Jackson and his reinforcements to arrive. Wave after wave of Union soldiers swarmed the heights and were cut down by blistering fire from the Confederate positions. Watching the Confederate victory unfold from his command post, Robert E. Lee commented, “It is well that war is so terrible, or we should grow too fond of it.” When night fell, the Army of the Potomac had suffered 13,300 casualties. Two thirds of them were sustained in front of Marye’s Heights. They called a truce the next day to gather the wounded and the Union troops retreated across the river on the 15th. Six weeks later, Lincoln removed Burnside from command of the Army of the Potomac. Now known as the “Butcher of Fredericksburg,” Burnside offered to resign. His offer was refused, and Burnside finally resigned his commission on April 15, 1865, one day after Lincoln’s assassination. 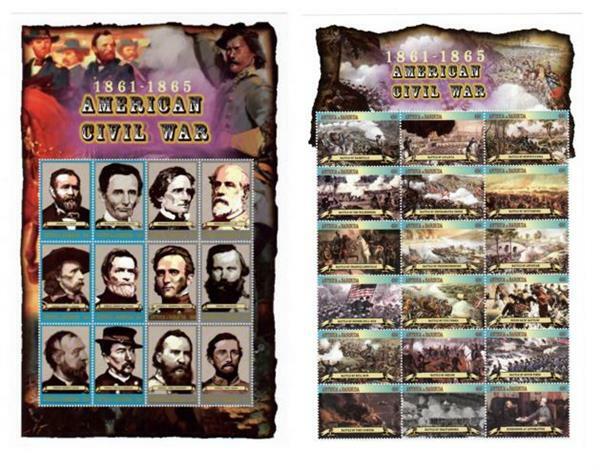 5 Responses to "This Day in History… December 13, 1862"
Wow! That was a great narration of events at Fredericksburg. Thank you for another wonderfully informative article. nicely done, we need this sort of material again taught in our schools. 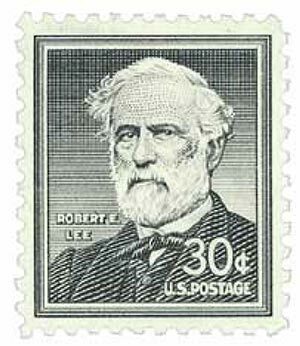 You ar3e wrong about Lee’s view of slavery. He was a slave owner. Take a look at Wikipedia on Lee and jump to his views on race and slavery. Very good information as usual! I don’t agree that stamps of other nations should be used here to encapsulate our history. However, I’ve been only vaguely aware of this Civil War battle. As a former Army engineer I can well appreciate the difficulties of crossing the Rappahannock. And, the disastrous frontal assault that followed seems such sheer folly.